Heroes of the Puppy patrol series of "the Jungle". 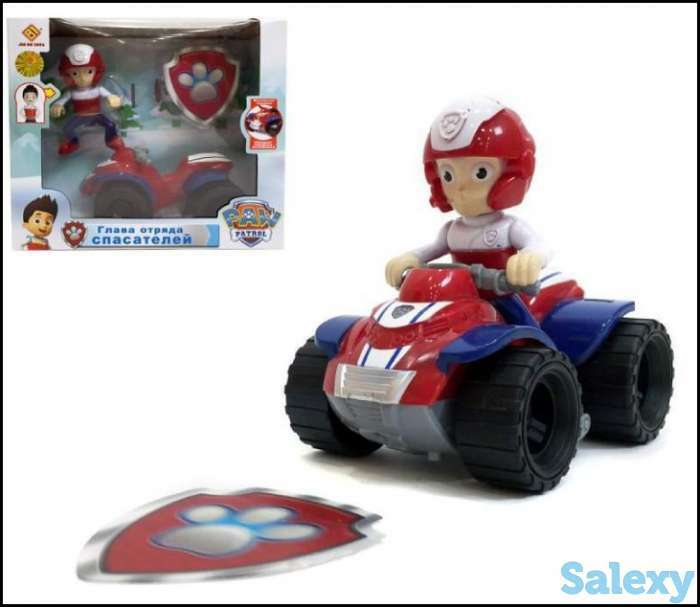 They can safely go on adventures on the special machines, under the leadership of the commander of the Rider on the ATV. Rescue puppies are equipped with backpacks on their backs. Clicking on the badge located on the chest of a puppy, the trigger mechanism of the container. All puppy packs with different functions and differ in design. The figures head turns, legs move forward and back. 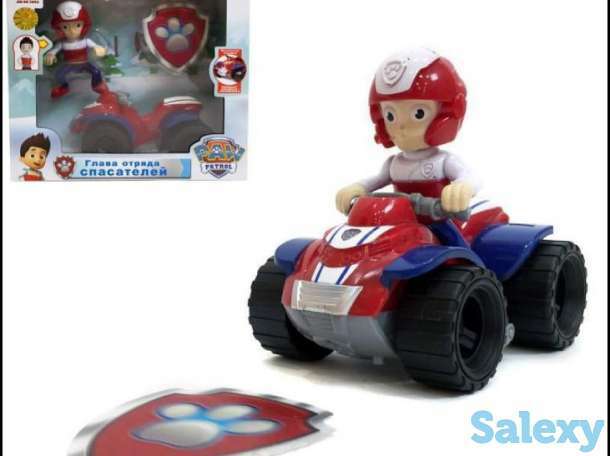 The figure of the rider without functions. Machines with clockwork mechanisms. Rubberized wheels for anti-slip on smooth floors. You need to take the machine a little back, let go, and it will roll for a long time in a given direction.Cars at the bottom of each battery compartment (LR44х3 PCs.). When you press the button, the melody will play and the light will flash. The set consists of a figure of the cartoon character, icon and car, the height of the figure 8-10cm., machine size: length~11.5 cm, height~6cm, width~5.5 cm. Packed in a beautiful box.